As runners across the area prepare themselves for the Worthing Half Marathon, one Shoreham man is hoping to go the distance to raise money for charity. Keen runner David Sluys, 68, will be taking on the challenge in aid of the Lions International Blood Research Appeal (LIBRA). David has been busy training for four months in the build up to the event on Sunday, February 10, and aims to finish the course in two hours or less. Training in the gym and going for walks on the South Downs has made him feel fit and ready for the day. 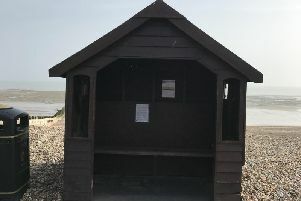 He said: “I hope for good weather on the day as I will be running along the Worthing seafront. This is the first time I have done this and I am approaching 69. After attending a club meeting of Adur East Lions last autumn, David decided to choose LIBRA as his cause. The charity recently launched the Tree of Life fundraising campaign to help create new treatments for blood cancer patients at King’s College Hospital, London. It needs to raise £100,000 for four items of specialist equipment needed for studies into acute myeloid leukaemia, lymphoblastic leukaemia, myeloma and other blood conditions. David said: “It was the club that suggested I run in aid of LIBRA. They are so proactive when it comes to fundraising and I hope to become a member in the not too distant future. I am delighted to run in aid of LIBRA and hope to raise as much sponsorship as possible.